Periscope Reaches Member Milestone: Periscope announced having surpassed 10 million as of August 2. The live-streaming company, which launched on March 26 of this year, took a little over four months to reach this milestone. 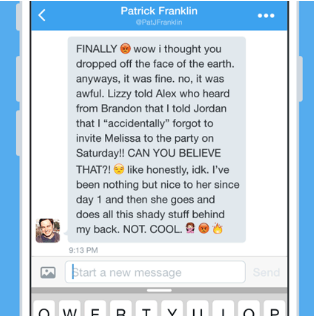 Twitter Officially Removes 140-Character Limit from Direct Messages: Twitter direct messages are no longer subject to a 140-character limit. The change is now available for Twitter on iOS and Android, twitter.com, TweetDeck, and Twitter for Mac. Google Hangouts Updated for Ease and Speed: Google Hangouts has a new look, improved speed, and some new features for Android users. Hangout’s new look makes completing tasks – like composing messages or attaching photos – easier. The new look also makes transitions between tasks smoother and faster. New features include Hangouts Dialer, for making local calls; the ability to use Google voice for group MMS messaging, and brings back status messages.